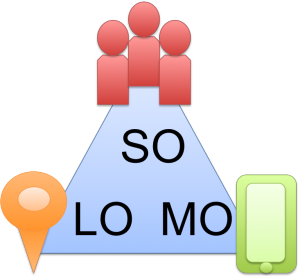 What is SoLoMo? It is a term given to new networks and applications that are social (allow people to interact), local (applicable to a specific city or within a certain distance from where you are) and mobile (connects with your device). Restaurants, mom-and-pop stores and service-based business all rely on local advertising and word-of-mouth. One of the major reasons that social networks are being leveraged for advertising is because people are far more likely to use a product or service that is endorsed by someone they know. So the combination of personal endorsements and local items are a win-win. Facebook – Lots of small business owners use Facebook to advertise their product/service and to talk about specials. Since Facebook has demographic information on all of its users, it is easy to target posts and ads to the users who actually live in the area of the business. Also the use of the ‘like’ or a repost of some message by a friend, is huge for endorsement and increases the likelihood of you visiting that business. How do you meet new people in your city? How do you advertise about a car wash happening down the street? SoLoMo apps are the best way for you to reach a local audience with the same intentions as you have. Lots of dating apps, pick-up sports games and community groups are making use of the technology. Grndr – this one has a very specific audience (gay males) but it is a dating service that allows you to find other network members within the vicinity to meet up with for a date. Yik Yak – a new network that anonymously shares messages from users in a 5 mile radius of the reader. It was launched on a college campus so that people close to the college could share information. Yik Yak is currently under fire because it is a good forum for bullying, which was not its intention. But expect to see more networks like this for neighbourhoods and local communities. Though world news is interesting, targeted news is far more relevant. With local outlets and networks, you can target the city or even the neighbourhood. Twitter – One thing you can count on with Twitter is real-time updates. Websites are far harder to update and the nature of twitter is fast information. When Toronto lost its power last December, it was Twitter had had the most frequent updates on the situation. When we lost water pressure at our home last week, first thing we did was open Twitter and check some local news and community groups for tweets. Sure enough, there was a report. No one wants to ship their old bike or BBQ across the country. It is much better to only advertise items for sale to those in your area. Kijiji – narrow down the distance you are willing to pick-up from and search your item. I am always surprised by what I can both find and sell on there. 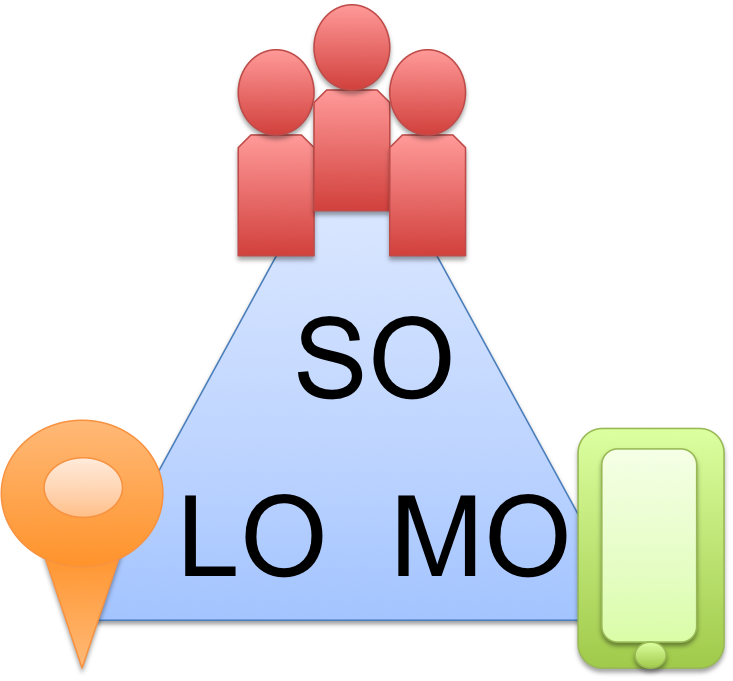 Now that you know the uses of SoLoMo, look for ways it can help you stay connected and informed in your area.